You’ve probably given at least some thought to how you look when you’re working out. Maybe you’ve decided you don’t care, or perhaps you’ve been put off by going to the gym by a personal atmosphere. But what matters when you’re working out isn’t how good you look, but how comfortable you feel. Of course, you can look and feel great at the same time, but being comfortable still takes top priority. So if you’re about to start your get-fit journey, or you need to replace your workout clothes, concentrate on how suitable they are for the exercise you want to do. Try these tips for an outfit that might not belong on the catwalk, but will feel fantastic. 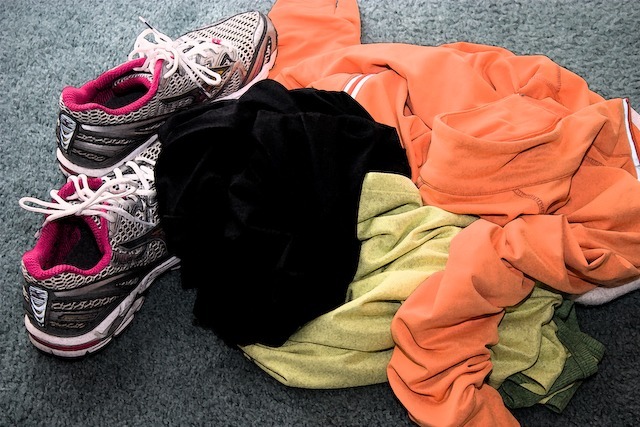 When you choose your workout clothes, you need to think about what exactly you’ll be doing. The movements you’ll be making will affect how you want to dress. For example, if you’re off to your yoga class, you don’t want anything too loose or too tight. If it isn’t fitting enough, you could end up with your t-shirt around your waist and your pant legs around your knees. But if it’s too tight, you could struggle to breathe and move freely. You might want something form-fitting if you’re trying to be extra aerodynamic on your bike or while running. But you don’t wish to pull the fabric out of places where it has no right to be. Let’s face it, if you’re going to workout, you’ll get sweaty. Unless, of course, you’re going swimming. Some women sweat more than others, but you’re unlikely not to sweat at all. One thing that’s often best to avoid is wearing too much makeup unless you’re certain it’s waterproof. That doesn’t mean no makeup at all, but it’s best to keep it light. Choose your clothes carefully too. You might decide that ahead or wrist sweatband helps you feel more comfortable. Some women like to avoid synthetic materials that don’t handle sweat well. Choosing the right bra for your workout can be difficult. Some heavier chested women even wear two of them because they can’t find one supportive enough. But working out without one can feel pretty uncomfortable. The best way to find the right bra for you is to go and try some different ones on. Visit either a bra/lingerie store or an athletics wear retailer and try out a few brands and styles. If you still feel at a loss, turn to the internet. You’ll find lots of women with recommendations, especially if you need a bra for a larger cup size. Don’t forget to dress appropriately for the weather too. You don’t want to boil to death because you overdressed in the summer or freeze because you assumed you would warm up to you run in the middle of winter. It can be difficult to know how much to layer up or strip down, so try wearing a few layers that you can add or remove easily if you’re too hot or cold. Getting and remaining fit is a hard task, and worrying about what to wear only makes it more difficult. Make it easier on yourself by focusing on comfort and how your workout makes you feel, not on how others perceive you.